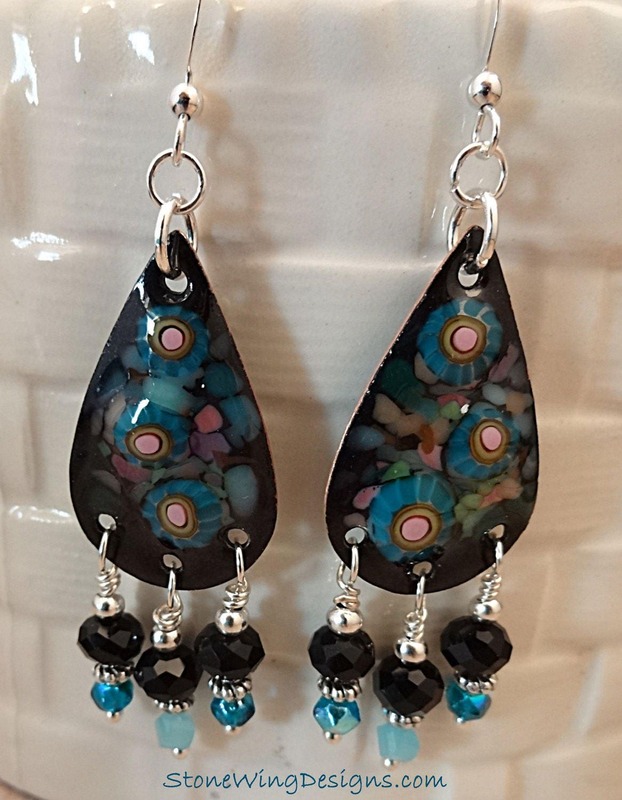 These enamel drops in black and blue are artisan made by Barbara Steffen of Fire Spirit Beads. 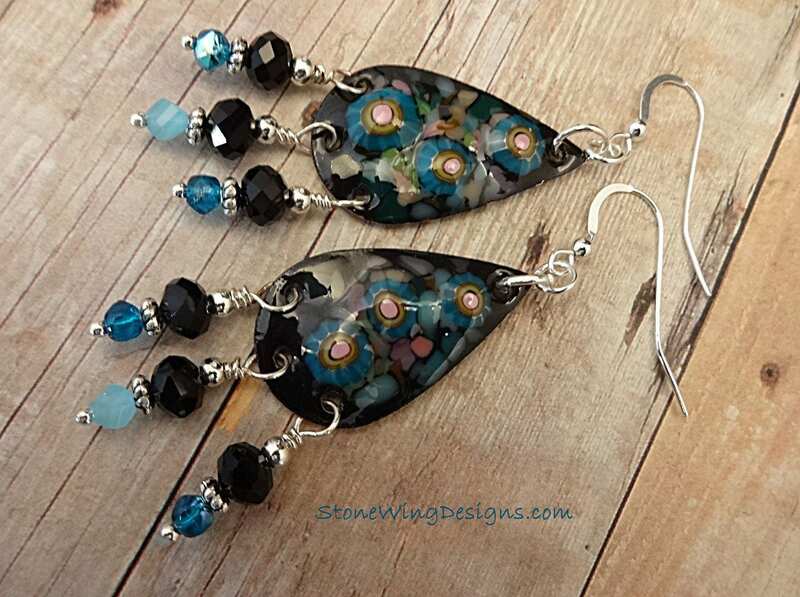 I paired them with faceted Black Onyx rondelles and small glass beads in dark aqua and light, milky aqua. Each drop is wire-wrapped to the enamel drop. 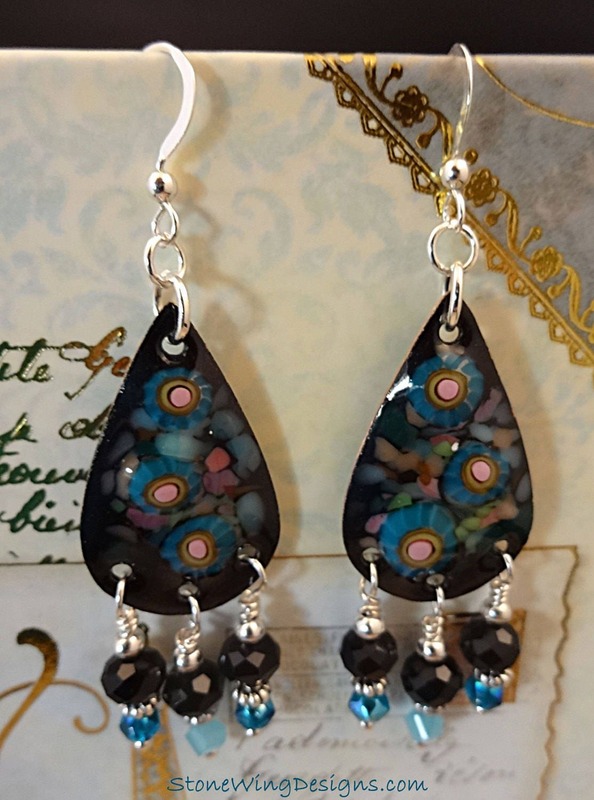 Silver wire, round spacer beads and daisy spacers add contrast to the black base of the enamel drops. 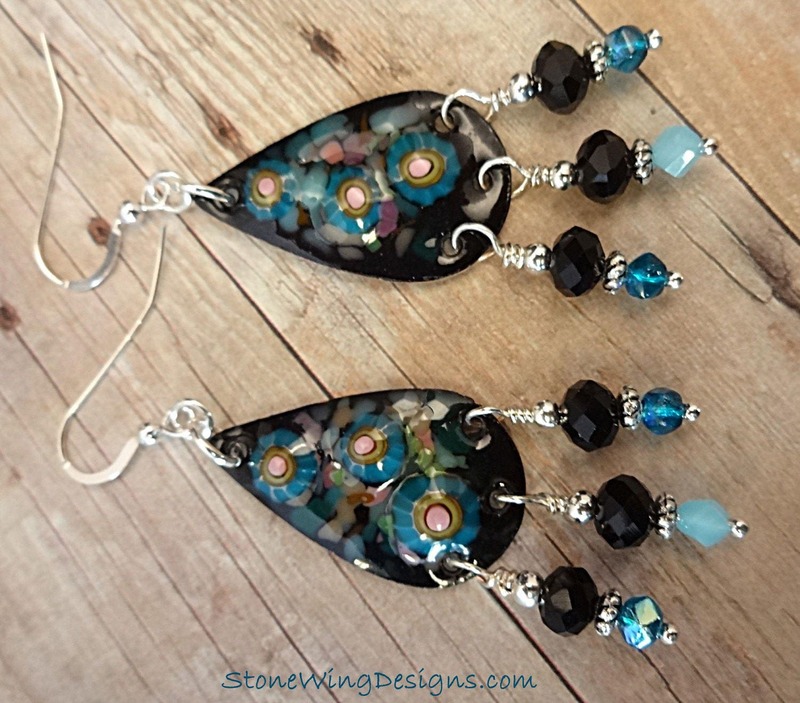 Extra long, these earrings measure about 3 inches from the top of the ear wires to the bottom of the dangles. 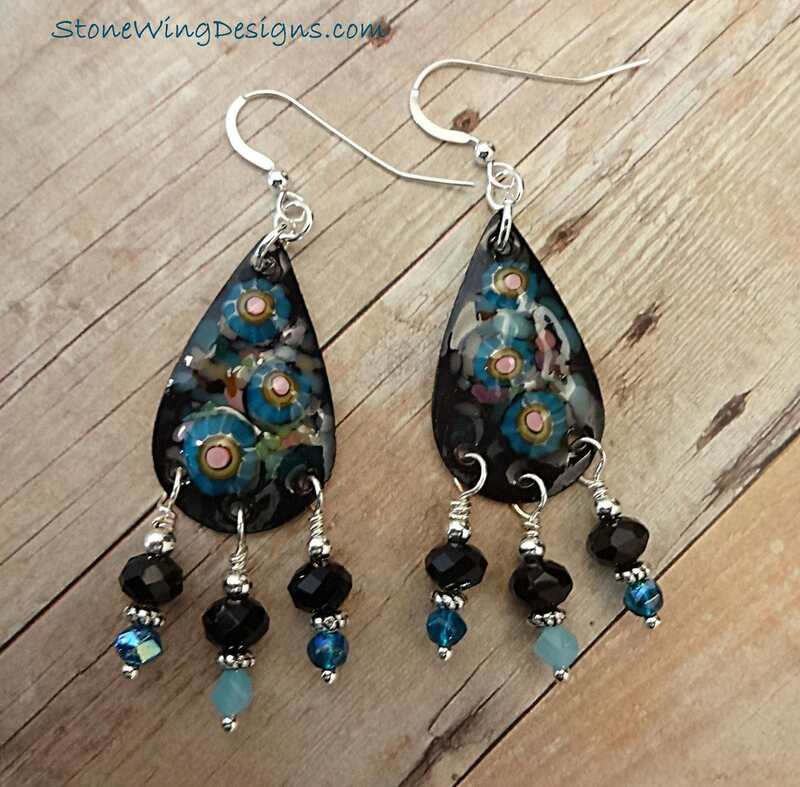 Finished off with Sterling Silver French Hook ear wires, these are one-of-a-kind earrings.